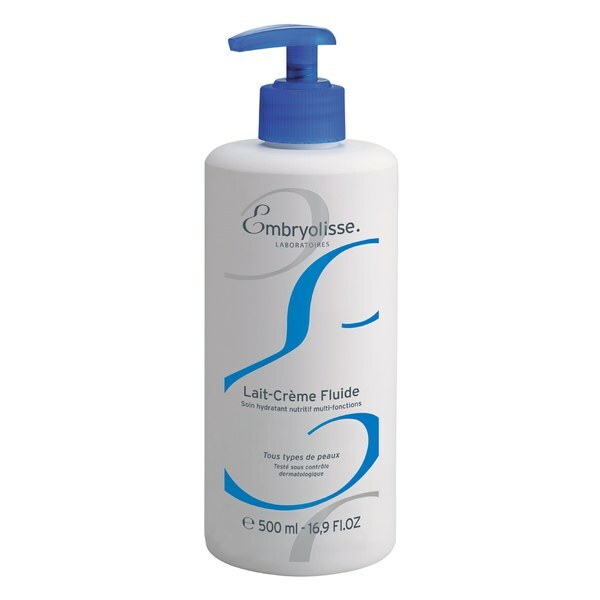 Achieve soft, supple skin with the Embryolisse Lait-Crème Fluid, a velvety-textured, versatile lotion. Suitable for all skin types, the lotion can be used as a replenishing moisturiser, make-up remover, after-shave treatment, baby care or to soothe skin after sun exposure. The fast-absorbing lotion comes in a handy pump bottle for easy application. E.N. Apply to entire body after a bath or shower to seal in moisture.